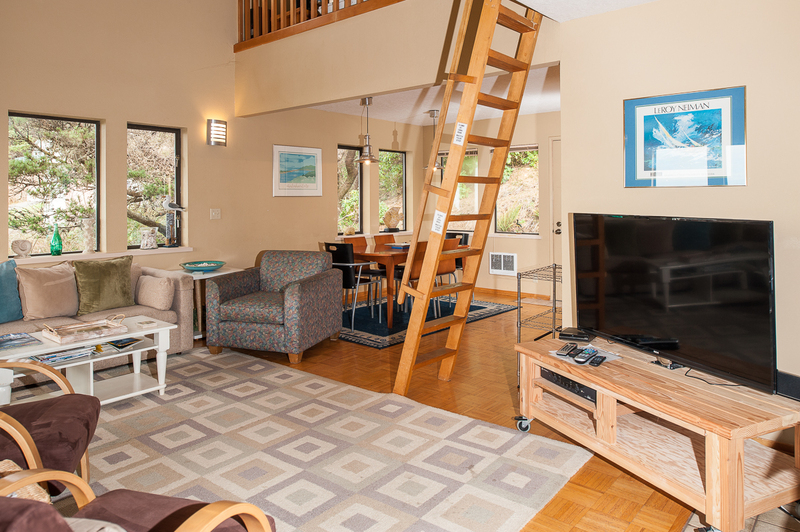 Calypso, which can sleep up to ten people, has stunning views of the Pacific Ocean and Cascade Head. 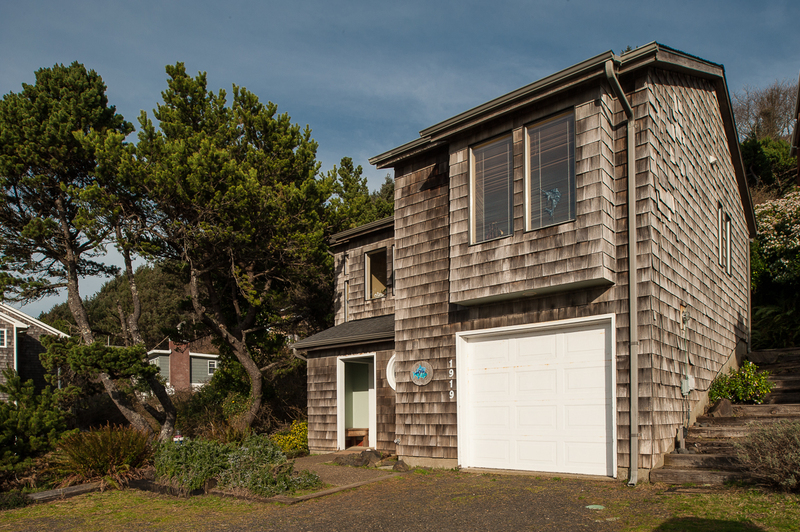 This two story home is located in the popular Roads End district of Lincoln City. You're less than five minutes from the Chinook Winds Casino, where you can see a concert or catch a lucky streak with your pals. 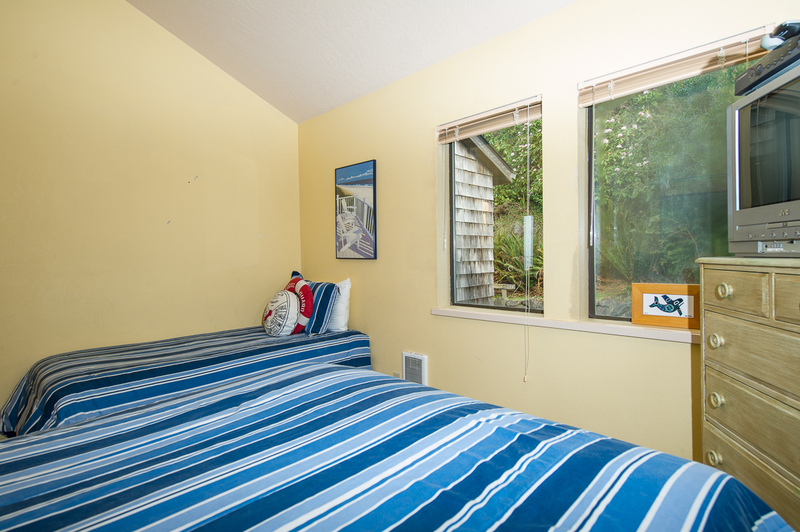 Beach access is just two blocks down the street, and if you'd rather just stay in, you can view the entire coastline of Lincoln City from this beautiful vacation home. Calypso has three bedrooms and two bathrooms. Both bathrooms have a walk-in shower. 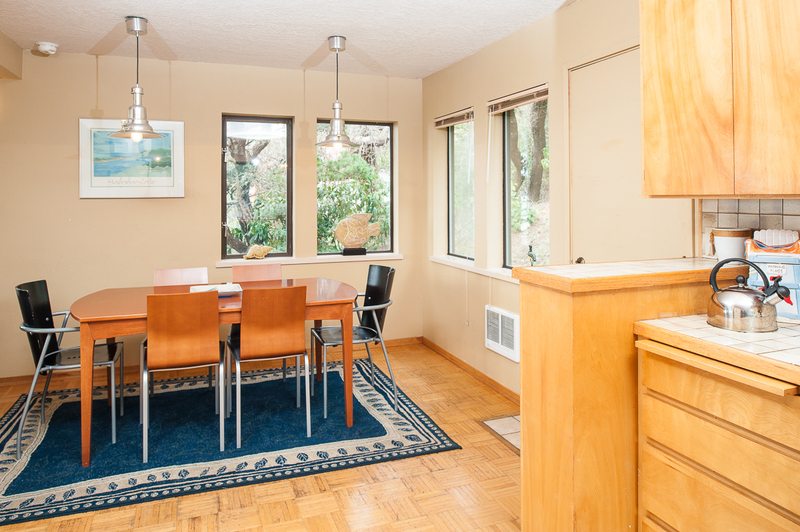 This home offers cable, a DVD player and Wi-Fi. The kitchen is fully stocked with everything you could possibly need to prepare a great meal for family, friends or that special holiday feast. With a great hiking spot close to this home called the Knoll, you can get out for some fresh air or stay in and watch the waves! Come down to Roads End today and let Oregon Beach Vacations make this your best getaway yet! Parking is available for up to 3 vehicles at this home. Please note that boats, trailers, and RVs are unfortunately not permitted. This home is not pet friendly so please leave your pets at home, or make other arrangements for them. "It was great! Kitchen was well stocked. Bathroom not so much. Needed more bathroom tissue." "Hello Kim, Thank you for your review. We are glad to hear that you enjoyed your stay at Calypso. We are sorry to hear that you did not have enough bathroom tissue during your stay. 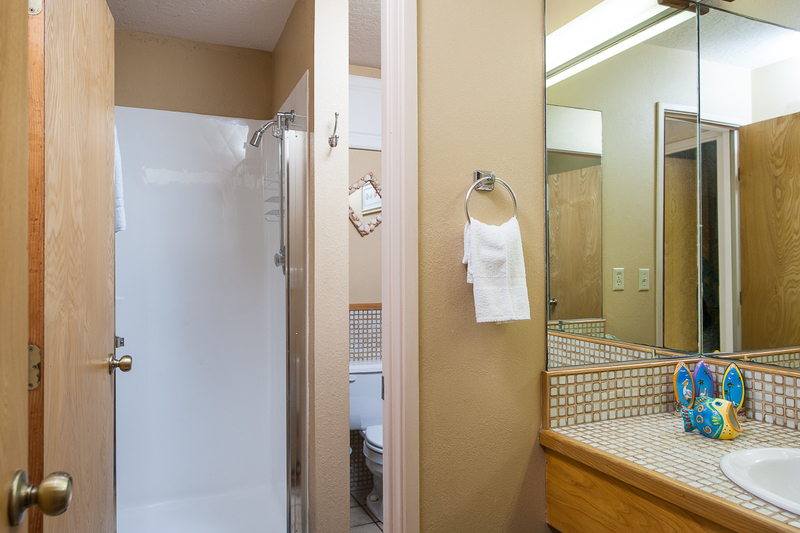 We provide a starter pack of supplies for each of our reservations, two full rolls per bathroom. Thank you again for your review, and we hope to have you stay with us again in the future." "I have never done a rental before, and I can honestly say it was the best experience ever. I will never pay for a hotel or camping again!!! It was amazing. " "Amber, thank you for taking time to send in your review. We truly enjoy hearing from our guests and knowing they enjoyed their visit to the beautiful Oregon Coast. Hope the memories you made while at the coast will last a lifetime and will be shared with friends and family. Once again, Amber thank you and we at Oregon Beach Vacations would enjoy hearing back from you to assist in planning your next getaway! " "A kitchen with the utensils a cook will appreciate. Furniture and floors a bit worn and tired but overall a comfortable relaxing beach house. " "Hello Keith, Thank you for your review. We are glad to see that you had a good time at Calypso. It sounds like you were able to have a relaxing vacation at this home. We hope to see you back again soon!" "Although we now all live in the same community it is hard to have dedicated family time. This was a perfect solution for us as our middle son's in-laws have a house in Lincoln City. All family gathering was at Calypso but 2 couples slept at the other house. The area for children downstairs was great and the entertainment options were. appreciated. It met our needs perfectly except for the contrary dishwasher!" "Hello Mary, Thank you for your review. We are glad to see that you and your family were able to get together and spend some time at Calypso! It sounds like it was the perfect location to spend some quality time together in the same place! We hope to have you back again soon! " "It was great! Thank you"
"Hello Kristi, Thank you for your review. We are glad to know that you enjoyed your stay at Calypso! We hope to have you stay with us again!" "Loved this place. Close to casino, stores, restaurants and downtown L.C. and Taft. The house has a nice view of the ocean, nice quiet area, wifi, cable, the loft has a huge movie library and a fully stocked kitchen, which was wonderful for meals in. Watch for deer around the property. We were fortunate to see several deer roaming around the back door on several occasions... pretty awesome. Can't wait to go back. " "Hello Monica, Thank you for your review. We are pleased to know you enjoyed your visit to the beautiful Oregon Coast and experienced not only the Casino but the peacefulness of an occasional deer roaming the property. Hope you and your guest were able to make memories that you can share for years to come. For your next visit to the coast we will look forward to hearing from you. Happy Holidays ~ Oregon Beach Vacations "
"Fun, quiet, loved the view, sweet dear who came by, well equipped kitchen,comfortable beds, great location. Will come back again." 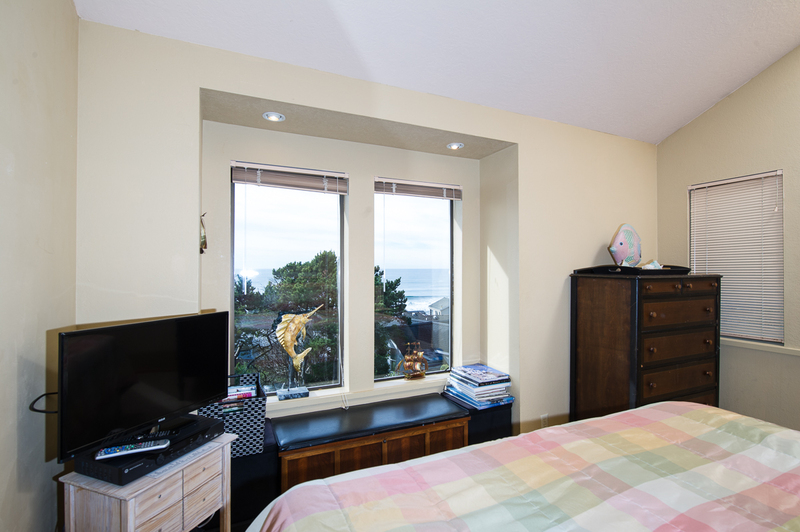 "This property has a great view of the ocean from the family room and the master bedroom. It was clean and fully stocked. The beds are also pretty comfortable. Deer pass by, and even hang out nearby, so that was a bonus for the whole family. The movie collection is quite extensive, which is great. However, with the way the television, dvd player and tuner are set up in the loft, I couldn't figure out how to actually watch movies up there, but it wasn't a big deal. We enjoyed spending Christmas here, and I'm sure we'll come back. " "It was well set up house, clean and very well stocked with utensils. " "Hello William, Thank you for your review. We are glad to see that you enjoyed your stay at Calypso! Sounds like you had a good time at this great location! We hope to have you back again soon!" "We had a great time. The house suited our needs well. Love that it wasn't too far to the beach. Some great views as well." "Hello Stephanie, Thank you for your review. We are glad to hear that you enjoyed your stay at Calypso. It sounds like this home was a great choice for you and your family. We hope to have you stay with us again in the future." "Loved it. It was a great place and very well stocked will definitely come back!! (; "
"Very nice and clean accommodation will be back." "Rajat, Thank you for your review in regards to your visit to Calypso. We are happy to know that you enjoyed your visit. Hope memories were made on the coast which can be shared for years to come. Again, thank you and we would enjoy hearing back from you to assist in planning your next coastal getaway." "We loved Calypso! It was perfect for our family and just beautiful! We will be back! " "There is a lot of things to do in close driving proximity. The views from the house were really lovely. The house was very clean and had all we needed. Our only recommendation would be that they repair or replace the oven/stove. It does not work very well, worse than the notes explained to us. And repacking some of the foggy windows would make the view even better. " "Thank you for the review and the recommendations! It really helps us to improved our properties to make guests stays more enjoyable. Hope to serve you in future stays!" "The home was perfect for our family of 4. There is a ladder leading up to a fun little loft that the kids enjoyed playing in. I would use caution with children under 5 as the ladder cannot be removed or blocked from curious little ones. The movie and music library was phenomenal and we watched a variety of movies as we watched the spring storms. 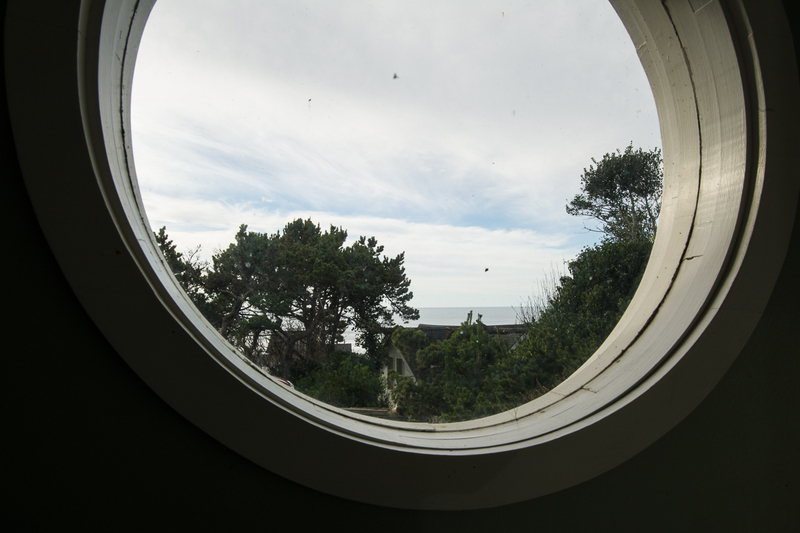 We were a little disappointed that 2 of the best viewing windows to the beach were fogged up and dirty where the integrity of the windows was comprised by water damage. But you could still see the beach and the kids enjoyed watching waves." "Hello Teresa, Thank you for your review. We are glad to see that you enjoyed your time at Calypso! We are glad the home provided lots of fun and entertainment for you and you children! We hope to see you back again soon on the Oregon coast. Thank you again for your review." 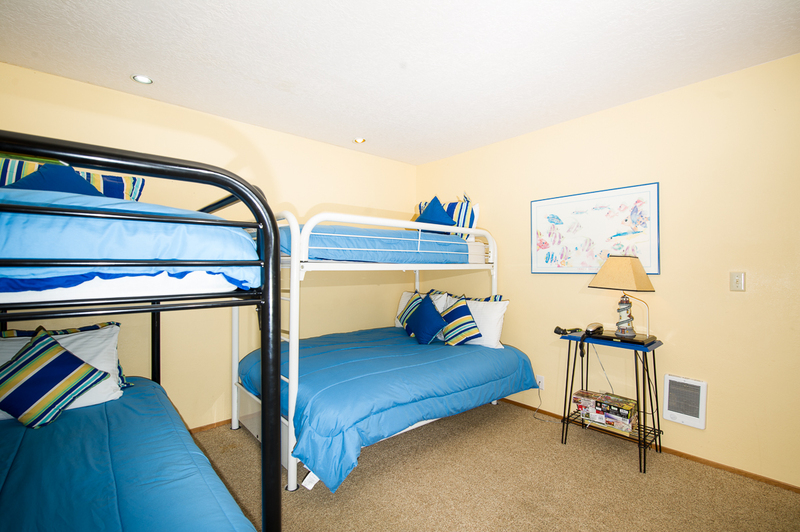 "My family stayed at Calypso and loved it! 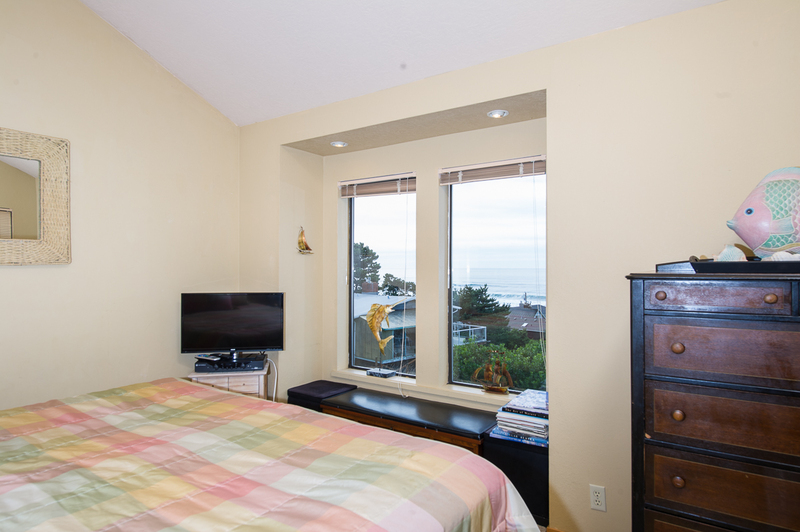 The ocean views were amazing, and the master bedroom had a sweeping ocean view. The kitchen was stocked with any appliance or tool you could ask for, there was plenty of room for all of us to move about comfortably, and the movie options were endless! It is located in a quiet area and was a short walk down the street to the beach. The only thing we would have changed is the furniture in the living room. It wasn't super comfortable and didn't seat as many as we would have wanted to have a movie night. " "Great over all, loved the location and the view was amazing, the furniture was a bit old and not very comfortable. Beds also need to be updated. " "Hello Sergio, Thank you for your review. We are glad to see that you enjoyed your overall stay at Calypso. We will let the owner know about your suggestions to the furniture and beds. Thank you for bringing this to our attention. We hope to see you back again soon for another wonderful trip to the Oregon coast." "Cable was not good,some of the beds were not made,dirty dishes that was put away, No dishes for children,no room to put food in the kitchen, all the dressers were filled with bedding so that let no place for clothes. We had fun overall." "Hello Zach, Thank you for your review. We are sorry to hear that you did not enjoy your stay at Calypso. We would have happily sent out housekeeping to fix some of these issues for you. If you're referring to the bunk beds on top not being made, this is policy. We do not allow our housekeepers to make the top bunks, but we leave sheets and everything there for our guests to still be able to use them. We are glad you had fun overall, despite the problems you found with the home. 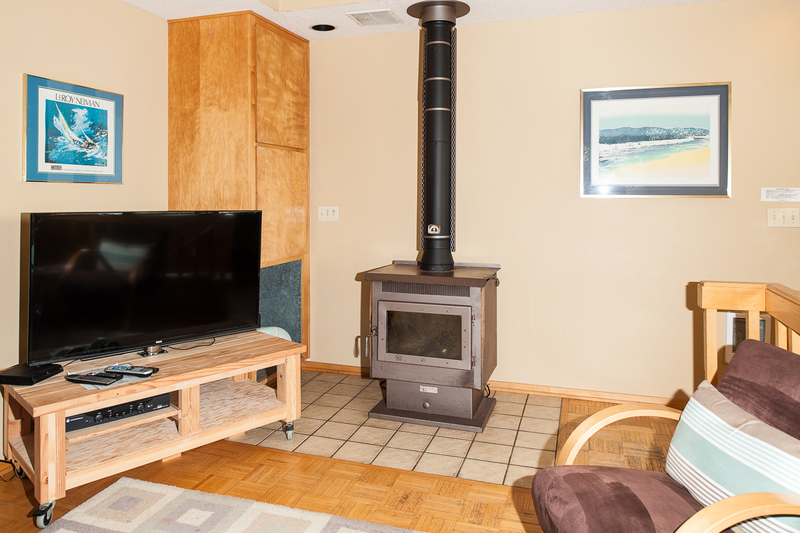 We hope to have you stay with us again at another one of our many rentals along the Oregon coast. Thank you again for your review." "It was a gorgeous weekend we love to stay in at the house. We were close enough to walk on the beach super close to stores food it was wonderful." "Hello Ginger, Thank you for your review. We are glad to see that you enjoyed your overall stay at Calypso. We hope to see you back again soon on the Oregon coast. Thank you again for your review."